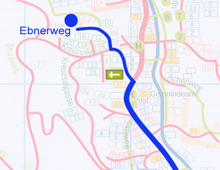 Take the A10 Autobahn to Flachau (Exit 66) and follow signs to Wagrain. In the center of Wagrain, turn left toward Kleinarl. Take the train to Radstadt or St. Johann/Pongau. From the train station, take a bus (or organized transfer) to Kleinarl. 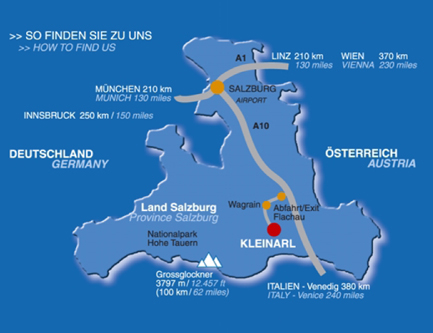 The nearest airport is in Salzburg (approx. 75 km away). The journey from the airport to Kleinarl by standard taxi cab takes about 1 hours and costs approx. €110 each way. At the back of the house (parking area) there is an electrical charging station for the free use of our guests. 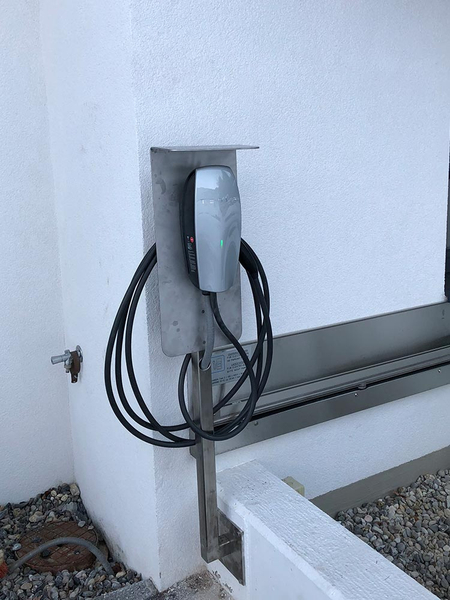 The charging station is activated by flipping a main switch in the building. For more information please ask our host. Please keep this spot clear when not actively charging.